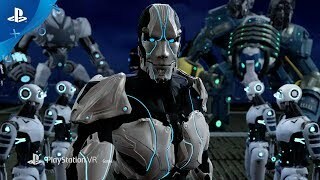 SCRAPER, a VR sci-fi shooter with heavy RPG elements, takes players on a journey through New Austin, a futuristic mega-city as they try to track down and destroy the world's most advanced AI robot, Cifer. Developer: Labrodex Inc. Publisher: Labrodex Inc. 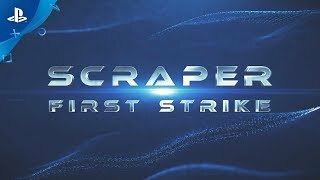 In SCRAPER: First Strike, you take on the role of Casey Maxwell, a Modified Hover Pod pilot, and a member of the Human Resistance Force (HRF). Your mission is to help the HRF reclaim Reactor Building 3 from enemy Humech robots, restore power to a secret military base, and drive back the robots that have seized New Austin. You’ll explore the world with full-locomotion controls, and will be able to modify your weapons, engineer new parts for your MHP (Modified Hover Pod), and barter for consumables that will help you on your journey. If you have what it takes to carry out dangerous missions, and infiltrate highly secure levels, sign up now at ScraperNetwork.com with the HRF and help defeat the Humechs! 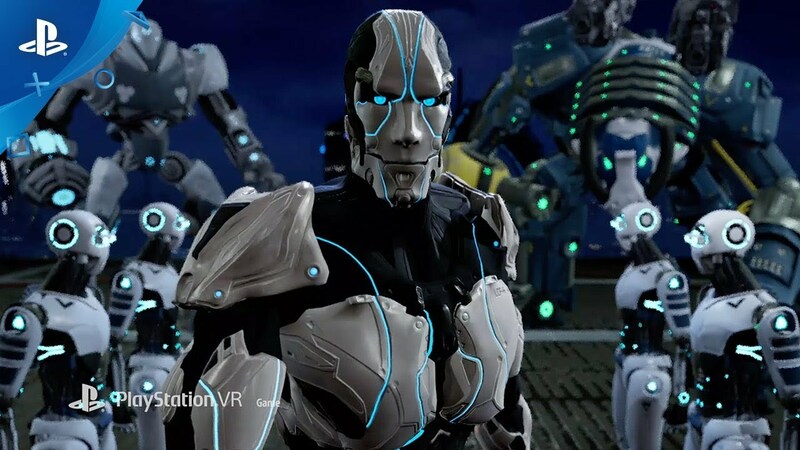 With 360-degeree locomotion, large levels to explore and persistent gameplay, Scraper: First Strike is a deep, rich and full-featured RPG title for PS VR. One of the major initial tasks of the game design was the music. We wanted to do something epic and decided to reach out to several well-known composers in the industry. After speaking with several, we chose Winifred Philips. She has a long list of video-game credits that include titles from five of the biggest franchises in gaming: Assassin’s Creed, LittleBigPlanet, Total War, God of War, and The Sims. 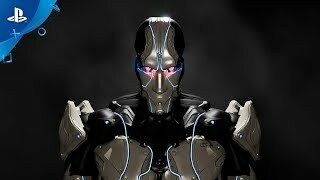 We also teamed up with NY Times best-selling author Ryder Windham to craft the game's lore and prequel novel, SCRAPER: Rise of Cifer. ©2018 Labrodex, Inc. All rights reserved. Scraper, Labrodex and the Labrodex logo are trademarks of Labrodex, Inc. Published and developed by Labrodex Studios. Special promotions, offers and release dates, subject to change.